Everyone likes taking vacations, especially to places with good waves and/or paddle spots (naturally), but finding the time to get away isn't always the problem. Gas, food, hotels, resorts, flights - none of these things are cheap. Today we're looking at ways to trim the fat off a hefty price tag while maximizing the fun, water-time and comfort on your next SUP vacation. Traditional traveling (where all the details are booked through a travel agent) is a thing of the past. The internet has empowered us to seek out deals, find alternative routes and uncover those hidden gems you don't see in the brochures. Today you'll find low-cost airlines going to exotic, urban and rural SUP destinations around the world, alternative backpacker lodges that welcome paddlers, unique tour operators and other interesting/ exciting options and more - all the ingredients you need to mix up self-made vacation package. 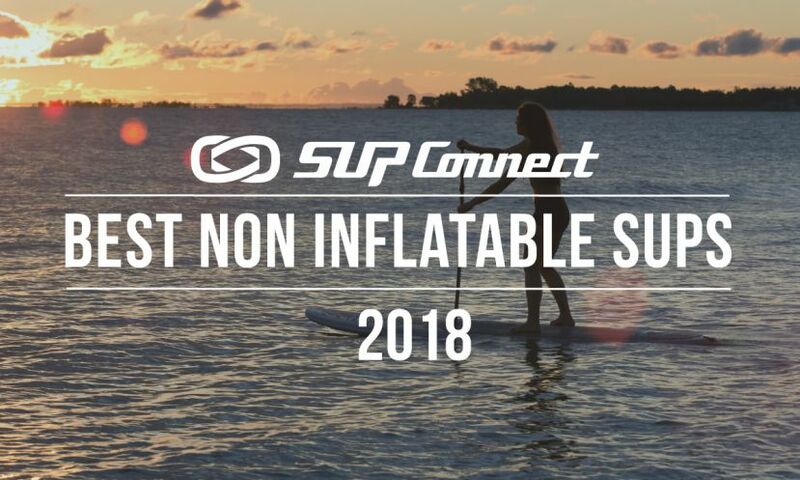 To go one step further, you've got platforms like the Supconnect community at your disposal, which allows you to interact with paddlers from across the globe - nobody knows good deals like a local. Most coastal and water-based destinations max out their prices over summer. With the incredible advancements in wetsuits and dry suits, there's no need to limit your SUP travel to warm weather - in fact, winter is prime time when it comes to surfing. Then again, places like Guatemala and Thailand are hardly tundra's in the middle of winter. The main point is that you don't need to be limited in any way when it comes to travel. Put yourself on the mailing list for airlines, hotels and resorts, who'll let you know when special deals are on offer. Traditional traveling (where all the details are booked through a travel agent) is a thing of the past. The internet has empowered us to seek out deals, find alternative routes and uncover those hidden gems you don't see in the brochures. Flexibility also helps. Some of the best deals can sneak up on you at the last minute. If you’re able to pounce on a last-minute deal, there’s a case to be made for not booking until the week/day/hour before your departure time. When resorts and hotels can’t fill a bed, giving accommodation away at rock bottom prices is better for them than not making any money at all. The recession of yesteryear managed to stick its cold, bony fingers into the pockets of business owners around the world. Travel and weekends away are one of the first luxuries to go when people are trying to manage their budget. In the tourism industry, everyone from hotels to airlines and tour operators has had to adapt to a new, more dynamic, budget-friendly tourism industry. What this mean? If you can rustle up a posse of two or three families, you'll occupy more rooms and put proprietors at ease. Business will therefore be more inclined to offer a cheaper rate on bulk bookings - but you need to ask for a better rate to receive one. Don't be shy. The worst they can say is no. If resorts, hotels and motels aren't your thing, try renting a house, villa or campsite near the water. For destinations like Spain, Hawaii and California, websites like Vacation Rental By Owners (www.vrbo.com) or Airbnb are a great resource. You rent properties directly through the home owners at a fraction of the cost when compared to a hotel - especially once its divided by the number of people coming along. By renting a house or staying at a campsite, you also solve the problem of board storage - which can be a pretty cramped situation in a hotel room with three friends. It also allows you to cook at home/the campsite and save money on eating out and drinks - easily one of the most hard-hitting expenses. Airlines have been known to charge outrageous sums of money for carrying boards. Unfortunately there's no magic trick to get around this. Sometimes you've got to pay the piper and bear it. There are ways around it, though. One is to invest in a decent inflatable board - the quality of inflatable boards just keeps getting better. The other is to research a site like Shurfing, which is basically a global community of paddlers, surfers and kite boarders who are willing to rent their equipment out to visiting brothers and sisters. © Copyrighted & Exclusive SupConnect.com Content.